Eyewitness accounts from the area surrounding Shanksville, censored from the official version of events, indicate military aircraft were at the scene when Flight 93 went down and that federal agents have pressured local people not to talk about what they saw. INDIAN LAKE, Pennsylvania - Eyewitness testimonies have generally been excluded from the official version of events of 9-11. In the Shanksville area, where many residents believe Flight 93 was shot down, there are scores of eyewitnesses whose testimonies have never even been heard. Some local residents are deeply offended by the official explanation of what supposedly happened to United Airlines Flight 93, calling it a patriotic pack of lies. Fearful of retribution from federal agents, many eyewitnesses who spoke with me asked that their names not be published. While differing on some details of the plane said to be Flight 93, which passed over Lambertsville, eyewitnesses agree that unexplained military aircraft were in the immediate vicinity when a huge explosive "fireball" occurred at the reclaimed coal mine near Shanksville. Viola Saylor saw Flight 93 pass very low over her house in Lambertsville, which is a mile north of the official crash site. She was in her backyard when she heard a very loud noise and looked up to find herself "nose to nose" with Flight 93, which she says was flying "upside down" as it passed overhead. It was blue and silver, she said, and glistened in the sunlight. It was so low that it rustled the leaves of her 100-foot maple tree in her yard. It flew southeastwards for about three more seconds and even gained elevation before it crashed over the hill with a "thud," she said. "It was real still for a second," she said. "Then all of a sudden" she saw a "very quiet" and low-flying white "military" plane coming from the area of the crash site, flying towards the northwest. "It was flying very fast, like it was trying to get out of here," she said. "A second or two" behind the "military" plane were two other planes, which Saylor described as "normal" planes. 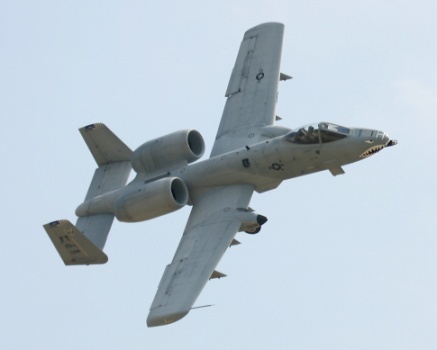 Shown a photograph of a Fairchild A-10 Thunderbolt II, a low-flying combat aircraft commonly referred to as a "Warthog," Saylor identified it as the military plane she had seen. She said she recognized the two engines on the rear and the distinctive shape of the cockpit and nose of the plane. Similar eyewitness reports of military planes over Shanksville on 9-11 remain censored by the U.S. corporate media, although they were reported in two leading British newspapers. Eyewitnesses reported seeing a Fairchild A-10 Thunderbolt over Shanksville before and after the "crash" of Flight 93. It came right over me, I reckon just 40 or 50 feet above my mini-van," she recalled. "It was so low I ducked instinctively. It was traveling real fast, but hardly made any sound. Then it disappeared behind some trees. A few seconds later I heard this great explosion and saw this fireball rise up over the trees, so I figured the jet had crashed. The ground really shook. So I dialed 911 and told them what happened. I'd heard nothing about the other attacks and it was only when I got home and saw the TV that I realized it wasn't the white jet, but Flight 93. There's no way I imagined this plane - it was so low it was virtually on top of me. It was white with no markings but it was definitely military, it just had that look. "It just had that look." Susan Mcelwain saw a Thunderbolt go over her van just before she heard an explosion but nobody wanted her story. The plane Mcelwain describes sounds like the Warthog seen by Saylor over Lambertsville. "It had two rear engines, a big fin on the back like a spoiler on the back of a car and with two upright fins at the side," Mcelwain said. "I haven't found one like it on the Internet. It definitely wasn't one of those executive jets. The FBI came and talked to me and said there was no plane around. Then they changed their story and tried to say it was a plane taking pictures of the crash 3,000 feet up. But I saw it and it was there before the crash and it was 40 feet above my head. They did not want my story - nobody here did." The U.S. media has only reported what Bill Crowley, FBI spokesman from Pittsburgh, said about other planes in the area: "That two other airplanes were flying near the hijacked United Airlines jet when it crashed, but neither had anything to do with the airliner's fate." In an apparent slip of the tongue, Crowley said one of the planes, "a Fairchild Falcon 20 business jet" had been directed to the crash site to help rescuers. The Falcon 20, however, is made by Dassault of France while Fairchild made the A-10 Thunderbolt II, the plane described by Susan Mcelwain and identified by other eyewitnesses. The Daily American of nearby Somerset did not want Mcelwain's story. In fact the local paper has never reported that at least 12 local residents saw several unexplained aircraft at the time of the crash. Asked why the paper has not mentioned these eyewitness reports, managing editor Brian P. Whipkey said, "They could not be substantiated." At the horse-shoe shaped Indian Lake, about a mile east of the official crash site, several eyewitnesses recalled hearing "a screaming thing" that "screeched" as it passed over the golf course and lakeside community immediately before a huge explosion shook the ground. Chris Smith, the groundskeeper at the golf course said something with a "very loud screeching sound" passed over in the immediate vicinity of the golf course before he heard a huge explosion. "It was like nothing I've ever heard before," Smith said. The explosion that followed sounded like a "sonic boom," he said. Smith and others said they felt the shock wave from the explosion. Smith said he was used to seeing a variety of military aircraft from the nearby Air National Guard bases in Johnstown and Cumberland, Maryland. Another groundskeeper said he saw a silver plane pass overhead toward the crash site from the southeast after hearing the loud "screeching" sound. The large silver plane was at an elevation of several thousand feet, he said. A local veteran who flew combat helicopters in the Vietnam War said that the high-pitched screeching sound was indicative of a missile. 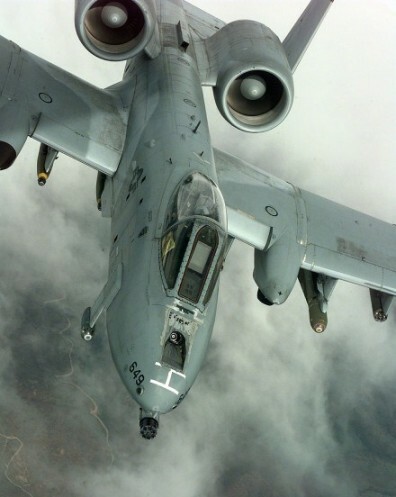 Shown a photo of an A-10 "Warthog," the groundskeeper identified it as the kind of plane that circled the crash site at a very low altitude three times before flying away. He recognized the two vertical fins on the rear of the plane. "Nobody was interested in what we saw," he said. "They didn't even ask us." Mobile telephones and satellite televisions in the Indian Lake area did not work at the time of the crash, he said. Paul Muro was in his yard in Lambertsville when Flight 93 passed overhead. Muro, who lives a half mile closer to the crash site than Saylor, said the plane was flying right-side up and normally, although it was very low. Muro said that he also saw a large silver plane approaching from the south, the opposite direction of Flight 93, above the crash site at the time of the explosion. The silver plane then turned and headed back in the direction from which it had come, he said. Tom Spinelli works at the Indian Lake Marina. After 9-11, Spinelli told a Pittsburgh television news reporter about the unexplained aircraft he saw. "I saw the white plane," he said. "It was flying around all over the place like it was looking for something," he said. "I saw it before and after the crash." I visited the marina and asked Spinelli about the planes he saw on 9-11. "I'm sorry," Spinelli said. "No comment is all I can say." An Indian Lake resident said that federal agents had visited the marina after Spinelli had spoken to the Pittsburgh news channel [TV 4] and told him to stop talking about what he saw. Local firefighters were also told not to talk about what they had seen at the crash site.